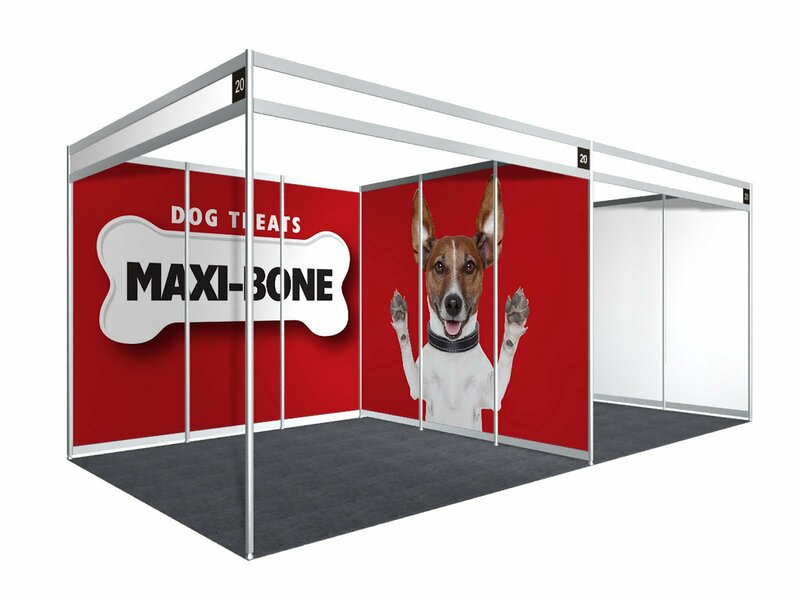 Stunning Phototex Removable and Repositionable Shell Scheme Graphics, made to fit exhibition shell scheme panels. Easy to install, these graphics can be easily removed and re-used. Stunning Removable and Re-usable Shell Scheme Graphics, made to fit exhibition shell scheme panels. Easy to install thanks to the incredible re-positionable and re-usable adhesive. Printed onto a high quality Phototex material at high-resolution, supplied rolled up for easy transportation between events. Easy to clean with a damp cloth so you can keep them looking pristine from event to event. This is a superb solution for Shell Scheme Graphics. Custom sizes can be entered into our simple price calculator, simply enter your exact dimensions and the quantity you require. Phototex panels are supplied as Flat Cut Only. Phototex is environmentally safe and bio-degradable over time. No PVC and non-toxic. Fire retardant up to 450°C (842°F) Self Extinguishing.